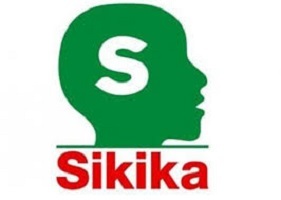 Sikika is a non-governmental Organization registered in 2009 to take over the work of Youth Action Volunteers (YAV), which was registered in 1999. The Organization has transformed from youth in reproductive health (YAV) to broader fundamental health outcomes namely Health Governance and Financing, Human Resources for Health, Medicines and Medical Supplies and HIV & AIDS. However, we recognized that shortcomings such as poor planning, allocation and mismanagement in the broader area of Public Financial Management (PFM) are a constraint to the achievement of our core goal of catalyzing improvements in health service provision. Therefore, in 2016-2020 strategic plan, Sikika reviewed the core programmes and introduced a new one, namely Public Finance Governance, which intends to promote sound public financial management and discipline. We will, however, maintain our traditional Health Governance Programme aimed at ensuring health care systems strengthened. Our interventions are based in all zones in Tanzania mainland, both rural and urban areas: Kondoa & Mpwapwa (Dodoma), Simanjiro (Manyara), Singida rural and Kinondoni & Temeke districts (Dar es Salaam). The 2016/20 strategic plan has extended to new districts namely Babati (Manyara), Serengeti & Musoma Urban (Mara),Mbeya Urban & Chunya (Mbeya) and Ikungi (Singida). Others are Siha & Moshi (Kilimanjaro), Iringa Urban & Kilolo (Iringa), Lindi, Urban & Kilwa (Lindi), Kigoma Urban & Kasulu (Kigoma). • Manage the strategic planning, monitoring and evaluation of all PFM programme activities. • Produce quality work to fulfill donor requirement and facilitate fundraising. • Manage the preparation and submission of the PFM programme’s annual work plan and budget, periodic narrative progress reports and financial reports as well as other reports that may be required. • Attend all statutory meetings including weekly staff meetings, general staff meetings, management meetings, development partner meetings, and board meetings in which you account for all PFM programme affairs and support the organization’s strategic and operational management. • Adhere to all policies and procedures that promote efficient and effective management of all organizational processes. Manage the development and monitoring of policies and procedures that promote efficient and effective management of programme or administrative processes. • Delegate responsibilities and resources to subordinate officers according to clear and mutually agreed procedures and results (programme immediate outcomes). • Monitor subordinate officers’ performance and provide ongoing, constructive feedback to ensure that procedural standards are followed and outputs are produced within agreed quality, time, and costs requirements. • Act as liaison between the organization and representatives of government institutions or partner organizations. • Ensure that the PFM programme’s annual work plan is geared towards achieving realistic intermediate outcomes of programme. • Ensure efficiency, relevance, effectiveness, and sustainability of all PFM programme activities. • Control the preparation of the PFM programme’s cash flow plans and ensure proper accountability of transactions. • Control timely activity implementation and financial accountability of expenditures. Effective Budget Vs. actual analysis and immediate corrective actions on variances. • Account for performance during the performance appraisal. • Control the production of accurate procurement plans for all PFM programme activities. Control all programme’s contracts prepared by the Procurement Officer. • Promote the organization’s visibility, branding and credibility. • Under the approval of the Executive Director, represent the PFM programme at media events. Ensure timely feedback to boundary partners. • Substantial experience working with government entities in areas such as tax policy and administration, revenue mobilization, tax compliance and other public finance topics. • Excellent written English skills and the ability to analyze evaluate and summarise critically in written English. • Prior working experience with CSO’s and research institutes in Tanzania is preferred.